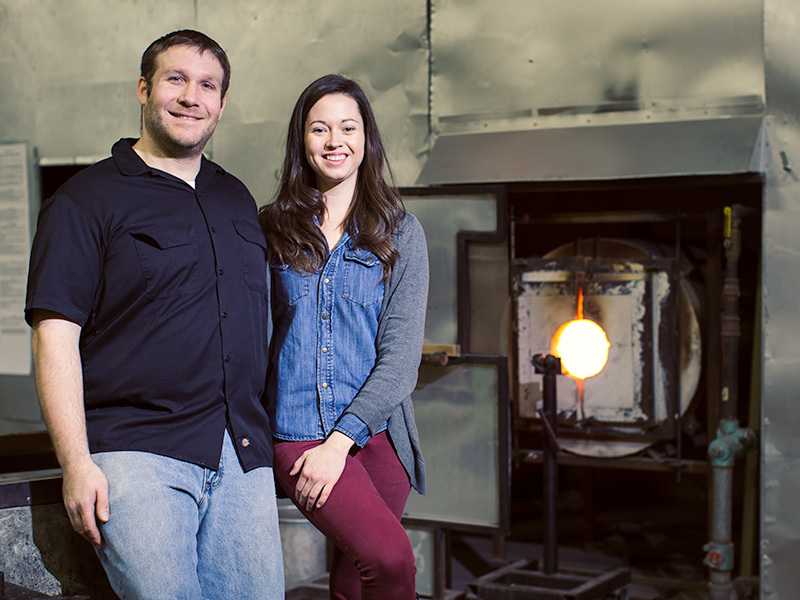 Baigelman Glass is a modern glass company founded by Heather and Aaron Baigelman. Our products are handcrafted in Chicago. At home in the lively studio in Chicago, Aaron helps both emerging and professional artists chase the incredible feeling that comes from creating functional, beautiful glass. 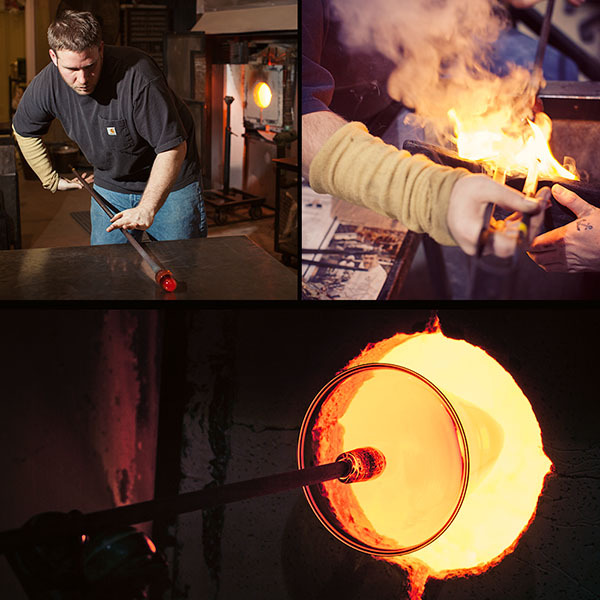 Aaron’s glassblowing career started at the early age of 11, when he drank from the first cup he had ever made. He knew he had found his calling in the transformation of raw materials into art pieces, and he still has that feeling with every finished vessel. Aaron has perfected his technique through decades of devotion, and each piece displays his reflective sense of style, depth and vision. In 2014, Aaron launched Baigelman Glass with his wife and fellow artist Heather Baigelman while they were still dating. Baigelman Glass creates bespoke pieces, elegant art series and functional glassware inspired by bright colors and clean lines. These one-of-a-kind creations are featured in galleries across the United States. With an eye to the future of the art, Baigelman Glass hopes to grow to employ other young glassblowers and give back to the next generation of au courant artists.